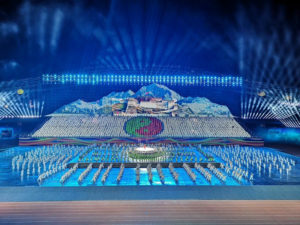 Visual and production design stole the stage at the opening ceremony of the 12th Sports Meet of Tibet Autonomous Region as well as the 4th National Traditional Ethnic Sports Meet in Lhasa, Tibet Autonomous Region on July 22. On the lofty Tibetan Plateau on the northern side of the Himalayas and sharing Mt. Everest with Nepal, Tibet is nicknamed the “Roof of the World” for its towering peaks. It is the traditional homeland of the Tibetan people as well as some other ethnic groups like Monpa, Qiang and Hui peoples. 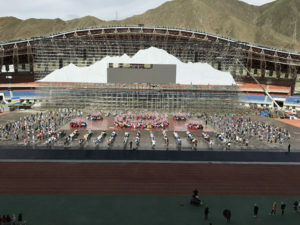 This Sports Meet was of great significance as it was the largest sports meet in the history of Tibet Autonomous Region with more than 1,200 athletes competing in nearly 100 matches covering track and field, swimming, archery, horse racing, wrestling and Gyiren (Tibetan snooker) and so on. 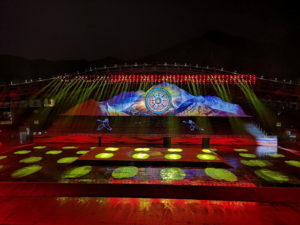 With the history and culture of Tibet in mind, Absen’s distribution partner Century Xinrui produced a spectacle involving Absen’s rental product D4V. 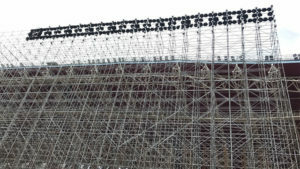 First, with the help of a crane, a massive and solid Layher structure measuring 120m*36m*14m was fabricated to house lighting pods, stage backdrop and LED display. The vast stage backdrop features the shape of Mt. Everest, which is also known as Qomolangma in Tibet, the highest mountain on the earth. 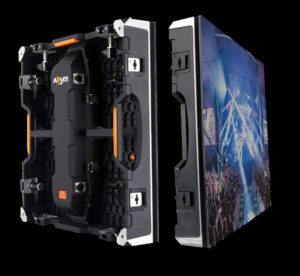 The rectangular opening in the middle of the backdrop was designed to lay the 50m*10m LED screen. 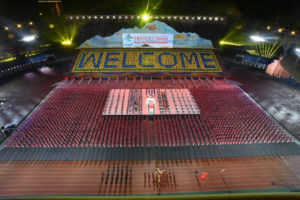 “To cover the opening ceremony, we opted for a visual system comprising 3,000 lighting pods with 1,800 on the Layher structure, 34 projectors and a 500 sqm Absen LED screen”, recalled Mr. Cheng, producer of the event. 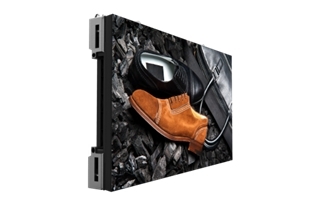 “The big screen was used to play real-time content and highlight certain information. We wanted to create an extended image of snow-capped Qomolangma as stage background by combining the projection and LED technologies. 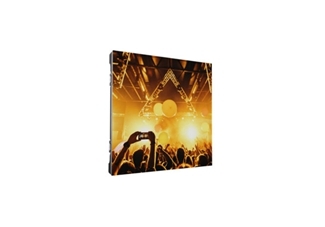 The brightness of Absen DV can reach up to 4,500 nits, but it is not that difficult to have a blended image as we are able to adjust the brightness of the LED screen to a proper level”. DV series is one of the most successful rental ranges in Absen’s portfolio. Featuring an innovative side lock design, the DV series supports curve of -7.5° to +10° for design flexibility. Engineered to deliver the best balance of visual performance, ease of use, robustness and budgets, it boasts the advantages of light weight, quick installation and maintenance and ultra-solid performance. 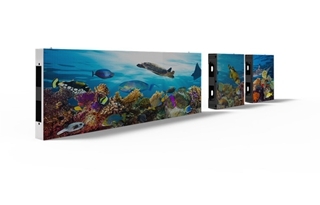 “Absen DV is our choice product in visual design”, commented Mr. Cheng, “It is a reliable rental solution and we can easily create shapes with DV panels. I am proud to say that we managed to create wow factors for the opening ceremony of the sports meet. The visual performance is impressive”.